What is Mad Skincare Acne? This product is from M.A.D. Skincare, the company that delivers the formula every skin type requires and desires. The company commits to create formulations that fuse together the best of science and the most hidden healing secrets of nature to enhance your skin’s youthful healtha nd beauty. 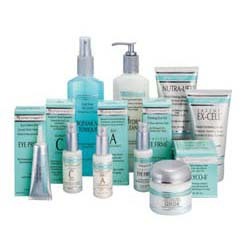 All products from this company are paraben free. Mad Skincare Acne Reversing Gel, US $42 for a 1.0 oz. bottle, is a spot treatment serum intended to rid your skin of acne-causing bacteria, treat breakouts, and stop future infections. Mad Skincare Acne— Does It Really Work? Purify your skin from acne-causing bacteria. Help stop infections to promote a blemish-free skin. Facilitate skin restructuring and improve skin synthesis to strengthen your skin’s resilience against infection and damage. 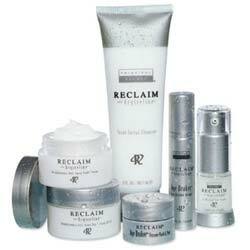 Restore your skin’s ideal balance to achieve a healthier skin. Control and regulate sebum production and secretion. What Are The Ingredients In Mad Skincare Acne? Panthenol: This ingredient hydrates and strengthens the skin’s moisture barrier. Panthenol is the provitamin of B5 because and is used in cosmetics and beauty products primarily as a lubricant, emollient and moisturizer. But care should be taken in case of sensitive skin as it might cause redness. Apply Mad Skincare Acne Reversing Gel on freshly cleansed and toned skin. Spread evenly across the affected area of your skin or, use as a spot corrector for mild to moderate cases of pimples and acne. Mad Skincare Acne does not contain parabens, endocrine disrupting chemicals used as preservatives that may cause hormonal imbalances and associated organ failures. This product does not contain chemical dyes which can be both irritating to your skin and toxic for your overall health. This product is expensive whereas the ingredients, including benzoyl peroxide can be easily derived from other cheaper alternatives. Mad Skincare Acne reviews are severely limited and makes it difficult to gauge actual user experience and sentiment about this product’s formulation and performance. 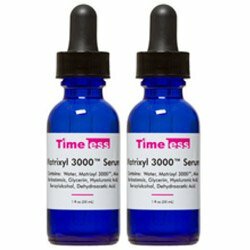 Does Mad Skincare Acne Have Any Side Effects? Skin irritation and allergic reactions due to several ingredients, including botanical ingredients, depending on your history of allergic reactions and on how much your skin can tolerate the products. Increased risk for contracting diseases and dysfunctions associated with your reproductive organs due to EDTA. Increased risk for developing brain dysfunctions and nerve damage due to phenoxyethanol. Mad Skincare Acne Reversing Gel can help treat your acne-challenged skin, if only because of its very high BP concentration. Except, not all skin types, particularly sensitive and reactive skin will respond similarly to this product. For some, the formula is sufficient but, others may find that it needs to pack in more punch to knockout acne.